With cyclonic storm 'Titli' moving towards Odisha-Andhra Pradesh coast, the Odisha government on October 9 geared up to face the situation setting a target of "zero casualty". "Zero casualty is part of the state government's disaster management policy. Stocking of food and shifting of people to cyclone shelters are also included in the policy," Chief Secretary A P Padhi told PTI. During previous cyclones such as Phailin in 2013 and Hudhud in 2014, the government had ensured zero casualty and earned laurels from the United Nations for successful disaster management. Padhi reviewed the situation at a high-level meeting attended by all secretaries, special relief commissioner (SRC) and officers of the National Disaster Response Force (NDRF). He said the IMD has forecast wind speed to be 100 to 110 kmph with gusting to 125 kmph. The MeT office has also mentioned that the cyclone Titli will further intensify into a severe cyclonic storm on October 10. The chief secretary said the cyclone was likely to make landfall early on Thursday morning. Meanwhile, the India Meteorological Department (IMD) issued a red alert in Odisha for Wednesday and Thursday, forecasting "heavy to very heavy rainfall" at several places and "extremely heavy rainfall" at isolated areas in the state. 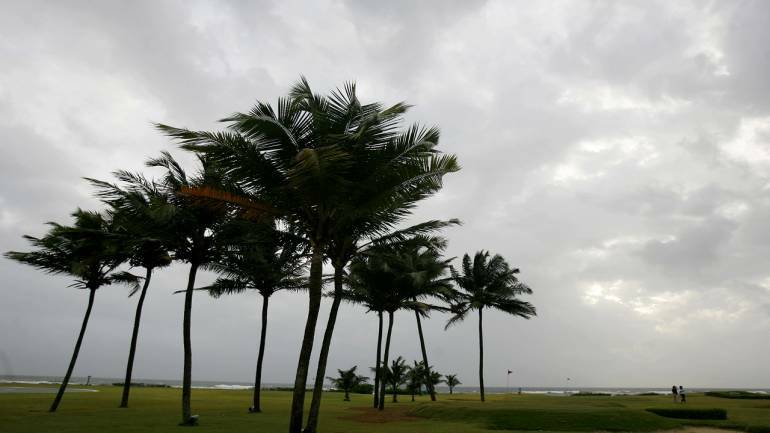 The cyclone over west-central Bay of Bengal moved west-north westwards at a speed of 10 kmph during the past six hours and intensified into the cyclonic storm Titli, it said. Titli lays centred at about 510 km southeast of Gopalpur in Odisha and 460 km east-southeast of Kalingapatnam in Andhra Pradesh. The government has ordered closure of schools, colleges and anganwadi centres in Gajapati, Ganjam, Puri and Jagtsinghpur from Wednesday. Meanwhile, Deputy Special Relief Commissioner P K Mohapatra said around 300 motor boats have been arranged to assist in the rescue operation. He said teams of NDRF and Orissa Disaster Rapid Action Force (ODRAF) along with Fire Service personnel have been sent to various districts. All the 879 cyclone and flood shelters have been kept in a state of preparedness, the officer added.